' Sunshine Sunday - Sisters, What! Welcome to the newest series on Sisters What! We live in world of darkness and trials and while we need trials to grow sometimes we need a little bit of sun (inspirational words) to help us push through the hard times and something to remind us to look around and see that there is light even in the dark. 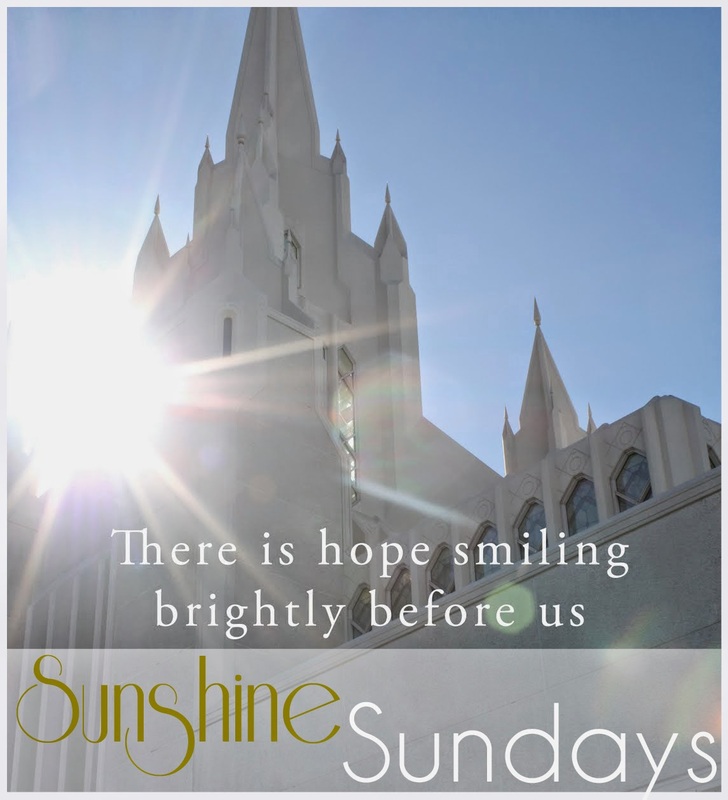 Help us remember that even when all seems lost there is "hope smiling brightly before us". Which is where our idea for "Sunshine Sunday" came from. So we hope that you enjoy it. I picked this quote this week because it is a lesson I've been learning a lot in my life over the past couple years. Think about the days where life is going great. The weather is beautiful, you couldn't be more happy, there are no foreseen problems in your life. Figuratively speaking the sun is shining in your life. In those moments it is so easy to forget all that our Savior, Jesus Christ has done for us. It is so easy to forget that we still need Him. Now think of the days of "rain". Everything seems to be going wrong. Everything from your hair to your job to your family to...I'll stop there because the list could go on. In those moments it is so easy to fall on our knees and remember to pray and ask for help. 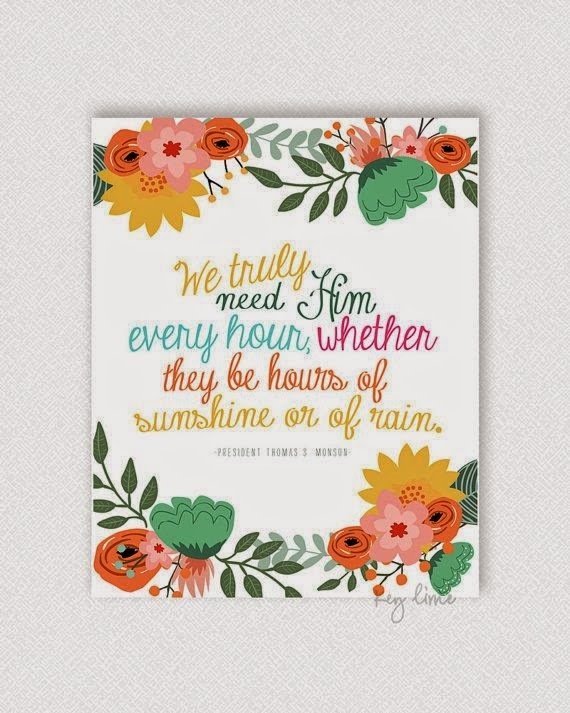 But what I've learned over the past year, and what this quote is teaching us, is that we always need to remember Him. We need him in the sun and in the rain. I know this to be true. And as I've learned this it has made all the difference in my life. On those sunny days it makes the sun shine even brighter and on the rainy days it makes the hard things more bearable. To read the talk that this quote was pulled from click here.